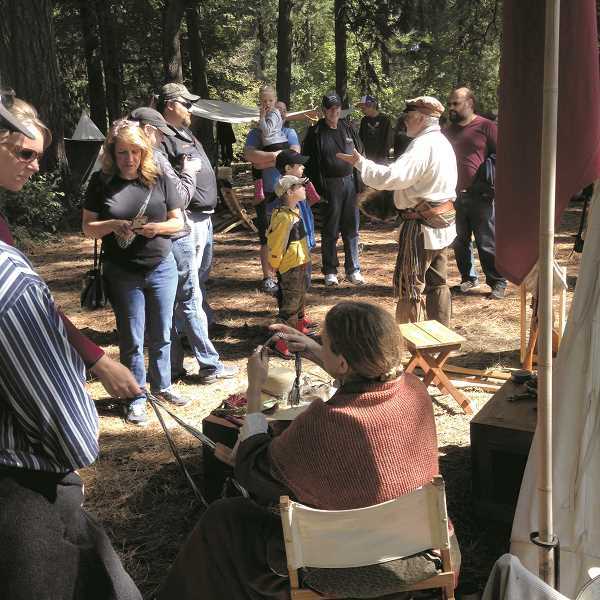 Costumed re-enactors will demonstrate the life of fur trappers 10 a.m. to 4 p.m. on Saturday, Sept. 15 at Riverside day-use area in Champoeg State Heritage Area. Admission is free. The living history event will feature an authentic recreation of a fur trappers' camp circa 1825. Actors in full pioneer garb will depict the often harsh life endured by fur trappers in the 19th century. Visitors can learn about trappers' daily activities, trapping techniques and other skills. A tomahawk throwing station will be available as well. Champoeg State Heritage Area charges a $5 day-use parking fee. For more information about the event, contact Park Ranger Dan Klug at 503-678-1251. More information about Champoeg State Heritage Area, including park maps and brochures, is on oregonstateparks.org.